Captain’s Quarters is back from its watery grave! Running Warp Six on an all-solid-state Apple IIGS via TCPser on a Raspberry Pi. 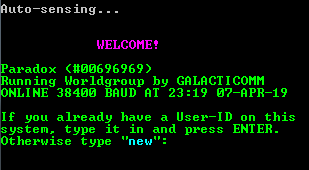 Featuring a bunch of door games, tons of text files, and retrocomputing / regtrogaming forums. Come relive your past!